Delivery. - Please ask about delivery times when you place your order. Stock items are normally delivered next working day. Our standard turnaround time for customised printed goods is 3-5 days from receipt of proof approval, but this may vary from time to time. In the case of goods delivered by third party carriers Discount Displays Limited has no control from point of collection by carrier. Any time or date for delivery given by the Seller is an estimate only and the Seller shall not be liable for the consequences of delay. The Seller shall not accept liability for any loss (including loss of profit), costs, damages, charges or expenses caused directly or indirectly by any delay in the delivery of the goods (even if caused by the Seller's negligence). Prices / Currency. - If your order includes graphics our prices assume that you are supplying "ready to print" artwork as per our artwork guidelines. If your artwork requires additions or alterations this is chargeable. We will not undertake additions or alterations without your agreement. 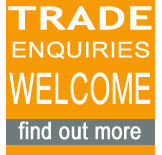 All prices quoted on our sites are in pounds sterling (GBP) and exclude VAT at the current rate. Orders dispatched outside the EU will not be charged VAT. Prices shown in other currencies are for guidance only. In addition to credit cards, cheques are acceptable but no order will be dispatched until the cheque has been cleared. All credit / debit card details given over the internet to this site are encrypted. Non-faulty goods. - We cannot accept returns of non-faulty goods because the products have been personalised or customised specifically for you. This includes colour matching unless a colour print proof has been ordered and approved. To return faulty or damaged goods please fill out the form to receive a Returns Authorisation Number. Artwork. - If there are errors in the artwork supplied by the Buyer, Discount Displays Limited can accept no responsibility for such errors. Visual proofs may also be supplied where deemed necessary by the Seller. No responsibility can be accepted where proofs are supplied and any errors, whether by the Seller or customer are not corrected by the customer at the time. Any design changes or alterations to typefaces, layout or dimensions due to absence of explicit instructions may be charged extra unless due to an error on the Seller's part. Production will not commence without design approval and if this is not received within three days of submission,dispatch of the order may be affected.